Many Dofus players are looking for ways of ranking up fast. Honestly, there is no way you can just straight up create a guide to 200 from level 1 in one article. However, after playing Dofus for a long time, I’ve acquired quite a few strategies on how to maximize my playtime to quickly acquire experience and maximize leveling efficiency in the game. Now, the following is my experience. Doing quests is a great route to go, as quests progress you in the game, can be interesting, and are decently rewarding, especially at high levels! Quests actually allow you to advance through the game in the way Ankama would really prefer. Quests makes you run straight and forward, but also makes you learn more about different maps, monsters. Some quests make you beat a certain dungeon, and you do different dungeons alongside with quest, and you naturally learn all of them. In end quests reward you with different dofus, ornaments, recognition from other players, and of course the true experience of "true dofus" gameplay. If you wanna play solo, then treasure hunting is a good way for you to level up. You don't need to wait for party members to play or get to the maps you are; just go straight up. You find great mobs on places no one goes to; somebody have seen mobs of kanigers giving over 4 million xp with that. Moreover, you see resources and arch-monsters, which are also good for eternal harvest and grinding professions and such. Last, during your journey you may also meet lots of friends, join an awesome guild with members of which you could do even more hard dofus touch contents and get more XP. 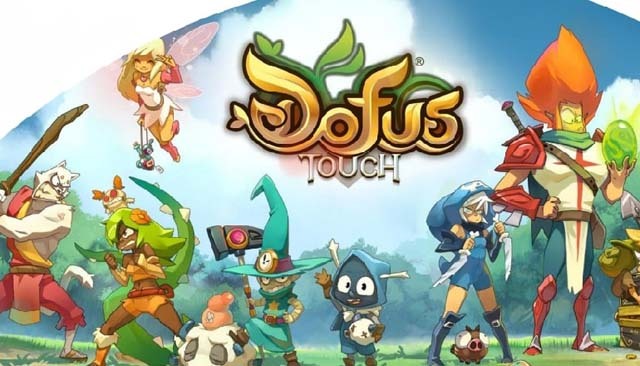 Also, you can rank up faster by buying Cheap Dofus Touch Kamas at Joymmo.com, a reliable, cheap and fast online in-game currency store. Achievements in general are a great place to start, it also means you can experience more content than just grinding out any particular area for xp. Especially the monster and dungeon ones, they reward you with a lot of Kamas, experience and resources that can later be sold. Doing all the low level Achivements can pretty much allow you to buy sets up to level 100 without worrying about Kamas. After you’ve reached level 50, you get access to the infamous "leeching". Avoiding the seduction of leeching is one of the biggest concerns of players reaching the level 50. Either you can afk and watch youtube/netflix while a level 199 Sac kills Mastos for you, or you can interact and socialize with content designed for that level range. Now after reaching level 150, you can do the Crimson Dofus and Turquoise Dofus quests, they give a lot of Experience while also being really fun to do and cost nothing other than the Roses of the Sand (if you don’t run the Treasure Hunts yourself) and Idols. Once you enter the 190+ epic level bracket, you are now ready to join the more famous or popular guilds. As Dofus is an old game, a large majority of the population is already at endgame content. Now you'll be able to do all things difficult, except for those pesky Dimension gods. Those dungeons are for the best of the best. As for gear, I used a level 30 set till 120. Use whatever doesn't matter, most of your xp comes from quests which you can just get a friend to help with the fighting. Most of it is walking around. After 100+ you want to be using the <2 set bonus trophies (nomad and shaker are the main ones) because it allows you to get 12 ap 6mp pretty easily. The rest of your gear is just random pieces that boost intelligence, like you can use anything it really doesn't matter. There's no specific setups anyone uses, just get 12/6 or close to that and throw on random intell pieces, whatever is cheaper at the time.